Posted on July 31, 2017 at 10:25 pm. Ah, the dog days of summer! Sweat drips down your back as you commute to work. And afternoon storms promise both spectacular lightning and annoying power outages. That same heat that drags you down can interrupt your business if you don’t take steps to protect computers from summer heat and storms. Slower processing and unexplained crashes may signal that your systems are suffering in the heat. Power surges and outages caused by summer storms can also wreak havoc on your electronics. Fortunately, with a few simple steps you can protect vital computer systems. Any real estate agent will tell you that location is everything. As it happens, that same mantra applies to your computer systems. Leave at least two to three inches of room for airflow around each computer, particularly along the back. Find somewhere else to stack those important papers and the manuals you always intended to read. Invest in simple computer stands or a server rack for even better airflow. Laptop Tips: If possible, avoid working with your laptop computer on a soft surface (like a bed or your lap). On a desk or table, the rubber feet on the laptop will provide room for air to flow under the computer. For softer surfaces, use a small book or even two small rulers to prop up the laptop. The CPU, graphics cards and other computer components generate a great deal of heat. To combat that heat, computers come with internal fans to circulate air. Keeping those fans in good working order is critical to a well-running system. Clean the inside of office computers every 8-12 months, particularly the internal fans. All it takes is a can of compressed air and a small brush. At the same time check to ensure that fans are operating. You can do this by turning on the computer with the case open. There should be two or three fans inside the box. If increased cooling is necessary, consider adding a case fan, attached inside the computer to the front or back of the case. Several manufacturers also make specialized fans for individual components, such as high speed computer memory. In many cases, computers come installed with very basic CPU fans. 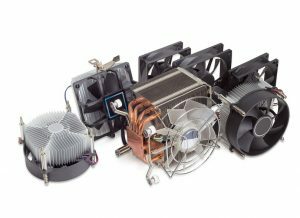 Upgrading to a more efficient fan can increase cooling power. Keep the summer heat outside. Computers prefer a room temperature of no more than 77 degrees Fahrenheit, with humidity between 35% and 80%. Resist the temptation to turn off the office air conditioning over the weekend to try and save money. For added protection, install a smart thermostat that will alert you if the temperature moves higher than the desired range. Catching an air conditioning problem early can save costly electronics repairs. Shut down workstations at the end of the day. This not only cools the system but also protects against power surges caused by storms. Adjust your power settings and screensaver to switch the system to Sleep or Hibernate mode when not in use. Attach an uninterruptible power system (UPS) to critical servers, workstations and other key devices. This will protect them against power outages and surges. For less critical devices, a surge protector may prove sufficient. Perform regular backups and verify those backups. 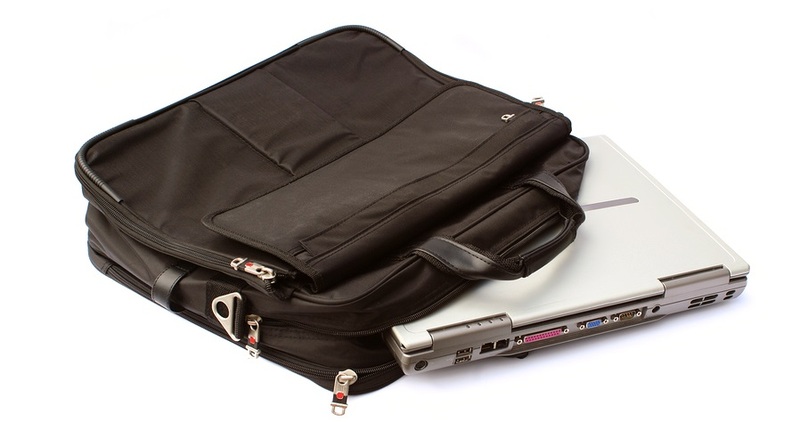 Laptop Tips: Shut down your laptop computer before placing it in a carrying case. The lack of ventilation in the case will quickly heat up the computer. In addition, unplug the charger as soon as the battery is fully charged. The constant flow of electricity will heat up the battery and the computer. Summer heat and storms are just two of the headaches that can distract you from your core business objectives. A reputable IT managed services provider (MSP) can offload the headache, preventing issues before they derail your business. Imagine the problems caused by a failed air conditioning system or a storm that repeatedly knocks out power. With managed services, you have the security of 24/7 remote monitoring and full disaster recovery. Alternatively, consider moving to cloud computing to reduce the need for computer equipment onsite. With critical data and services stored safely in the cloud, you minimize the risk of data loss. In addition, no matter what storms rage at the office, employees can access mission critical systems from any location with internet access. Whether helping your IT group outline a plan to protect computers from summer heat and storms, managing your systems for you or supporting your company’s migration to the cloud, eMazzanti offers the expertise you need.